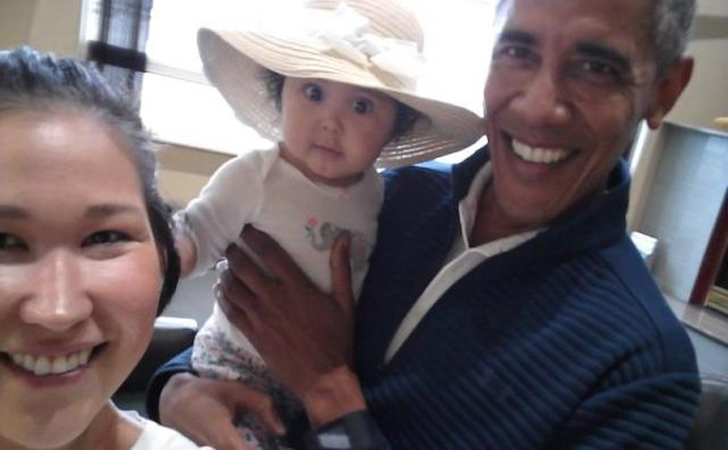 On his way home from Asia, former President Obama stopped to take a selfie with an adorable baby. Obviously, the pic is going viral. While at the Alaska airport, Jolene Jackinsky saw Mr. Obama in the waiting area for the private flights and ran over to him. 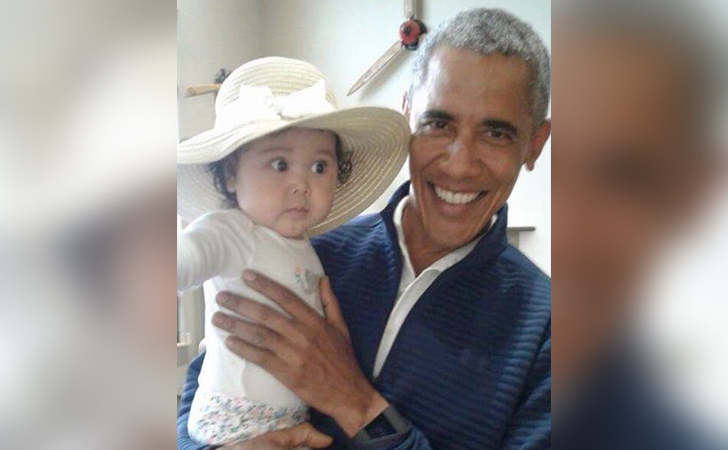 When he saw her daughter, Obama exclaimed, “And who is this pretty girl?” Obama held Giselle as the two talked about how fast children grow, and Obama joked that he was going to steal her baby. Mr. Obama was on his way back from the Asian Leadership Conference in South Korea and the Fourth Congress of the Indonesian Diaspora Convention. Jackinsky took another picture of the former president with her baby. Was he the best president ever? Comment below and remember to Share!